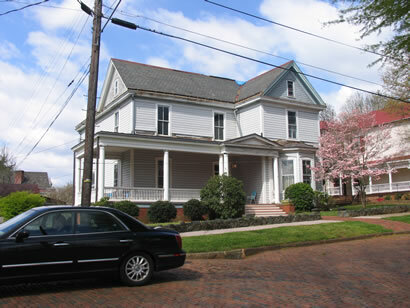 "The Greenwood H. Nowlin House"
This house is Victorian Vernacular with a Georgian Revival porch and cornice. It was built in 1883 by architect Robert C. Burkholder for tobacconist Greenwood Nowlin. The Nowlin family occupied the house for nearly 90 years.